The concept is based on music played at events ranging from weddings to funerals, from herding calls and “kulning” to the storytelling strains of Grieg. Quite often, the members of Groupa are inspired by dancing tunes by a lone musician. They then deconstruct each piece, tweak them from various angles and make them their own – often leaving just a trace of the original in their version. The recording sessions were kept simple to really bring out their special mode of communication. The musicians speak with their instruments, and the responses spark a tonal richness that evokes an abundance of images: The scent of mountain creeks, rush-hour traffic in Oslo, mosquito bites out on the cloudberry bogs, and the lazy arc of the sun in the far-northern sky. It’s an album that embraces the silence between the notes, the breaths taken to generate delicate notes on the flute, in the lingering reverberation of the fiddle and the jaw harp. Among the 14 different tracks, we find hymns such as Syng i stille morgonstunder, a “slengpolska” – and a playful rendition of the piece most associated with Norway, Edvard Grieg’s Morgenstemning, which in Groupa’s version is called Kirkenes – Mandal: Spare and airy, even ambient. The theme is played on slabs of slate with all the reverence of the first time humankind made music. 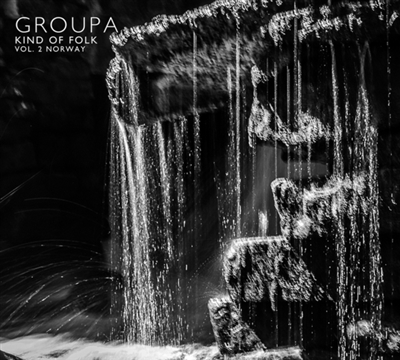 All three members of Groupa have a relationship to Norwegian folk music. Terje Isungset (percussion and jaw harp) was born in Norway and has played folk music since he was a boy. Jonas Simonson (flutes) was inspired by the tonal language, and by the long chainlike formations, “gangar” and “springer/springleik”, in traditional Norwegian dancing tunes. Mats Edén (fiddles) has been intrigued by the melodies he heard from Norwegian fiddlers and Hardanger fiddlers. Later, he studied the Hardanger fiddle under Ånon Egeland and went on to catalogue music from the province of Värmland in Sweden and eastern Norway.